There are always a few childhood books that stick in your mind all the way through to your adult years. Maybe there was a particular story that you remember because it came at a memorable time in your life, and seeing it now can reinvoke those memories. Perhaps there was a book that you read over and over and memorised so that you could now recite the words by heart with little prompting. Rediscovering these books after years- sometimes decades- can be rewarding, especially if they’re still in print. Even better, can be finding that someone has done their own take on a particular story (parodying it, if you will) to add an unexpected touch of humour to an already nostalgic moment. 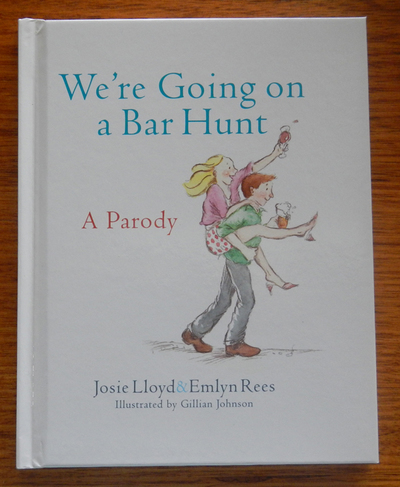 Josie Lloyd and Emlyn Rees- a husband-and-wife team- have made it their goal to recreate and parody some beloved children’s classics for a more adult audience. 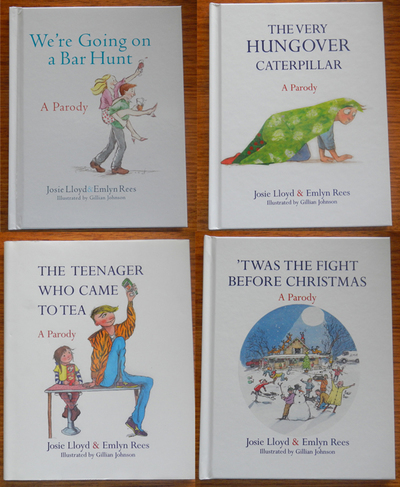 Using similar writing techniques to the original books, they have changed the text to appeal to adults, with accompanying pictures which still retain some of the old-style charm of the original illustrations. Made for people who remember and love the originals, these books add a humorous bent to an otherwise already loved tale. Everyone knows the story of the Very Hungry Caterpillar, who eats so much food that he gives himself a stomach ache. After getting incredibly fat and wrapping himself in a cocoon, he eventually emerges as a beautiful butterfly. This variation is slightly different. After a heavy night of drinking, our hero is feeling extremely hungover. After calling in sick to work, he proceeds to work his way through all known hangover remedies, to no avail. Feeling worse than ever, he retires to bed, bloated and smelly, only to wake up over twelve hours later feeling more like his normal self. 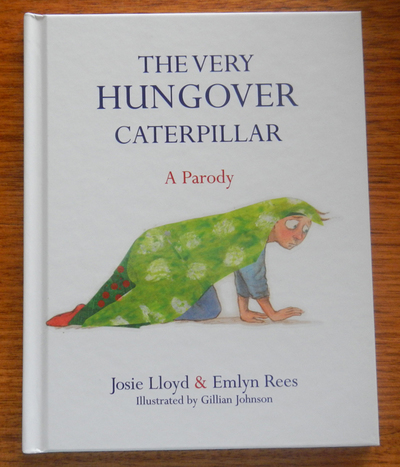 This is a humorous take on the story, which some of us could probably relate to after a seedy night out. It is sure to receive one or two knowing nods of recognition from those who have experienced the same bleary-eyed, gut-churning feelings. In the original story by Michael Rosen, we follow the journey of a young family as they travel through swishy grass, a cold river, squelchy mud, a thick forest and a swirling snowstorm in search of an elusive bear. In this version, two couples who are enjoying a night off from the children follow a ‘similar’ path, going through a trendy off-licence, a groovy pub, a funky cocktail bar and a really rocking club in search of a boozy good time. Like their predecessors, they can’t go over it and they can’t go under it, so they’ll have to go through it (a.k.a. try it)! Along the way however, they stumble across (or rather, into) a bear, and have to make a hasty retreat back home via their previous haunts. After finally getting home, acting sober and paying the babysitter, they promise that they’re not going to go on a bar hunt again! This book is a lot of fun, and, in a very similar vein to the original, even incorporates the same kind of ‘sounds’ and actions as the couples traverse the streets at night (‘Stumble, trip, stumble, trip’). There are even little references to the original book (like a lost dog poster that features a very familiar looking border collie). This is a great adult rendition of a classic tale. This modern-day version of the story works quite well. Stereotypical gender roles have been turned on their head (with a hipster, bun-haired, gourmet-health-food loving dad taking on the homemaker role) and a very accurate representation of a teenager taking on the part of the never-endingly hungry tiger. 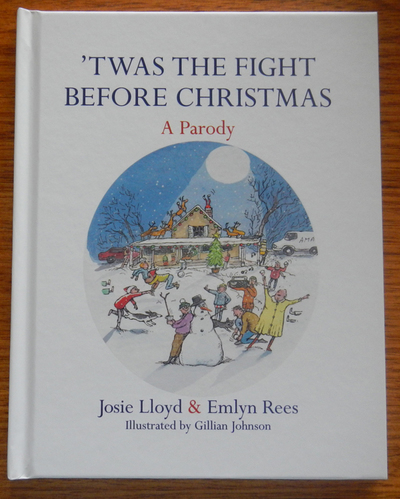 I have no words to describe this parody of the classic Christmas poem by Clement C. Moore- it’s fantastic! Full of current technology and pop culture references, and believable family situations (the stereotypical Christmas family nightmare), this book ticks all the boxes. From the hurried and almost homicidal preparation before the family arrives, to the fake charm, hidden insults, drunk family members and inappropriate behaviour (there’s always one who’ll step up), this parody is sure to contain multiple shreds of truth for every person who reads it. I have a fondness for the picture book series “Hairy Maclary: from Donaldson’s Dairy” by Lynley Dodd, and saw the zombie apocalypse version “Zombie McCombie: from an Overturned Kombi”. 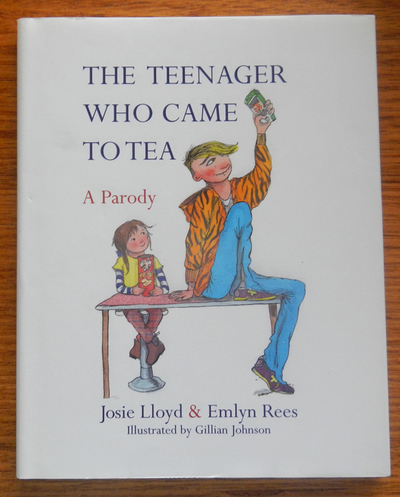 The front cover shows the reader that this is not a child’s book but author Michael Ward and illustrator Gypsy Taylor have produced a mirror image of the Hairy Maclary books. I think it is clever and violating at the same time.